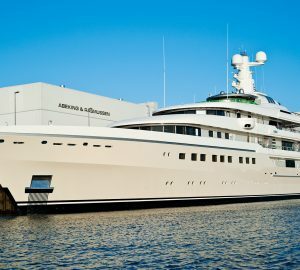 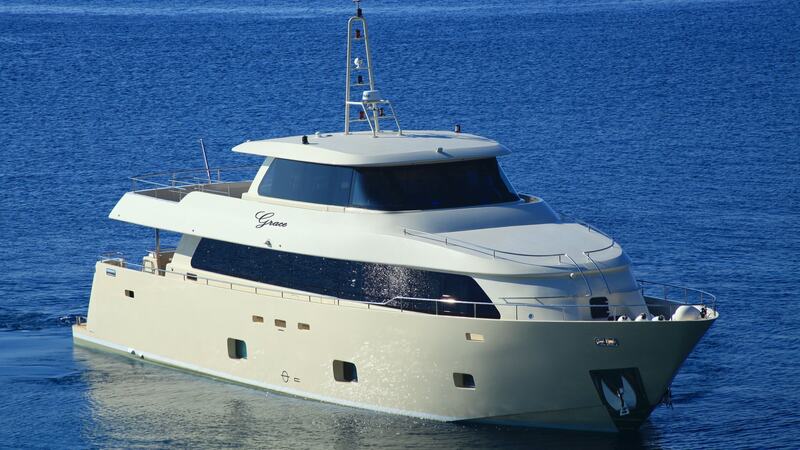 Motor yacht GRACE (ex ALPHA 1, ADAGIO) was built by the Turkish shipyard Aegean Yachts in 2013 and measures 28m (92ft). 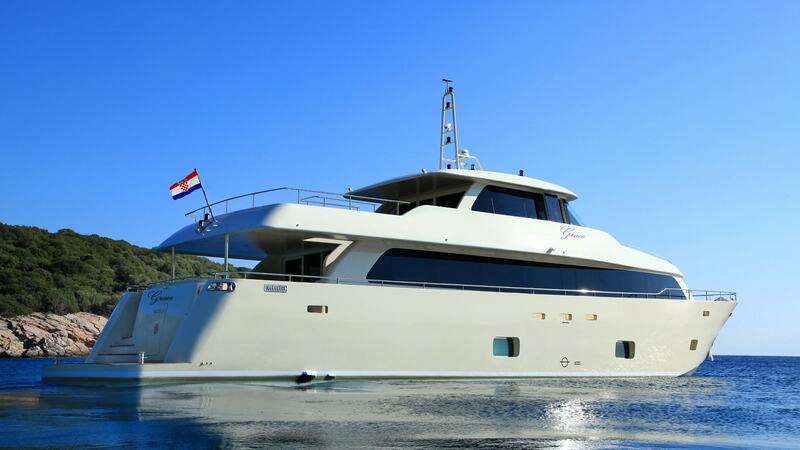 She is the ideal choice for large groups of friends or families, offering accommodation for up to 10 charter guests in 5 en-suite cabins. 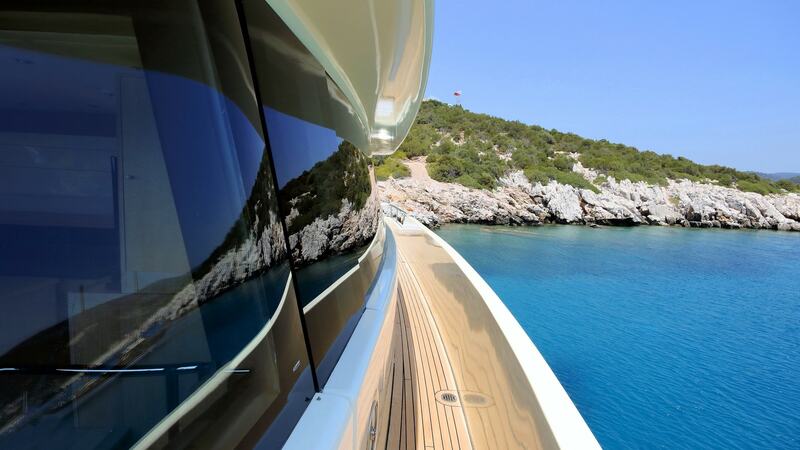 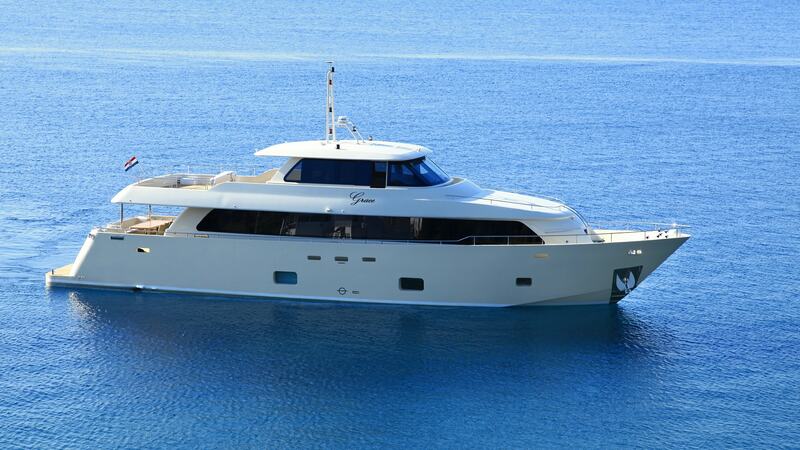 GRACE is available in the East Mediterranean year round, with a professional crew of 4. 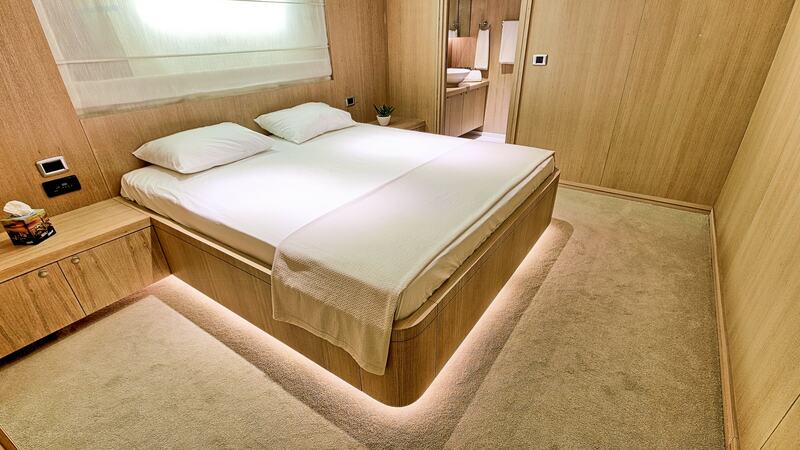 The yacht boasts a contemporary interior, featuring light-toned wood panels throughout, balanced with comfortable minimalist soft furnishings in hues of subtle creams. 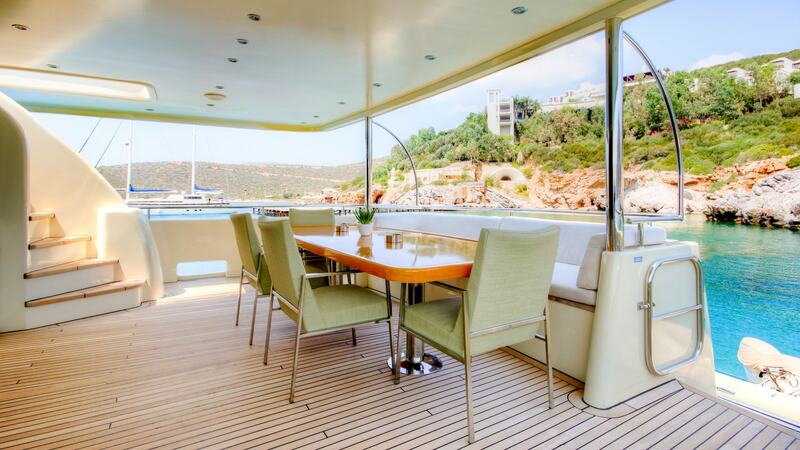 The salon and dining are an open plan with surrounding panoramic windows, creating a more spacious feel and providing idyllic views. 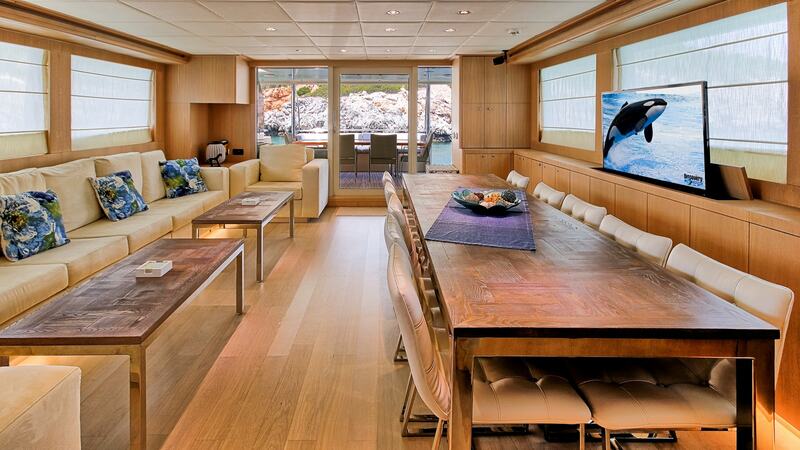 Sliding glass doors lead to the shaded aft deck, built-in seating, wet bar and alfresco dining option. 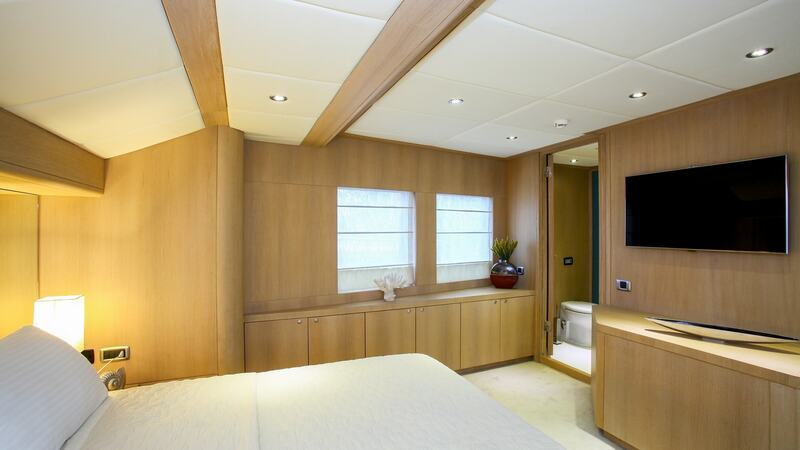 Forward of the salon, the master suite enjoys a centre lined queen size bed, large en-suite facilities and wonderful views. 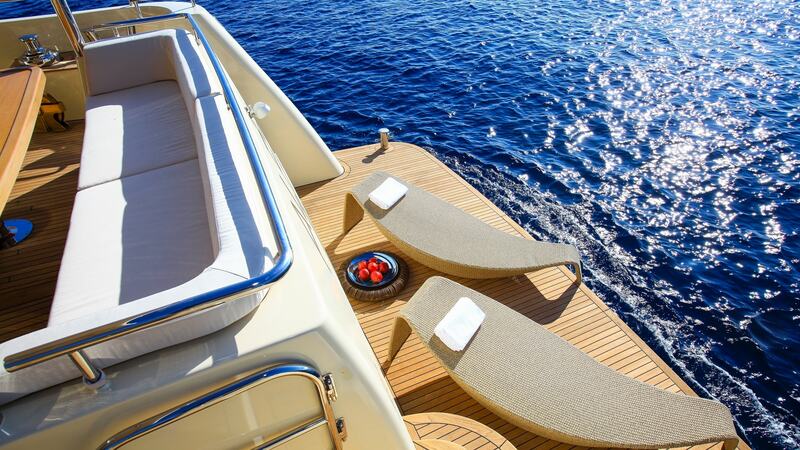 Above the main deck, motor yacht GRACE has an additional interior lounge space in the pilot house, aft of which, the generous sundeck is perfect for relaxing the day away, offering chaise lounges, seating and a wet bar. 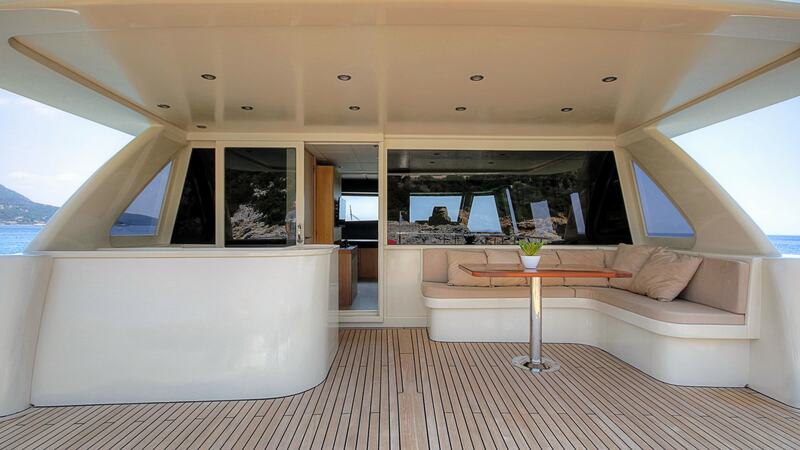 The more active in the group will enjoy the full beam extended swim platform on the transom for effortless water access. 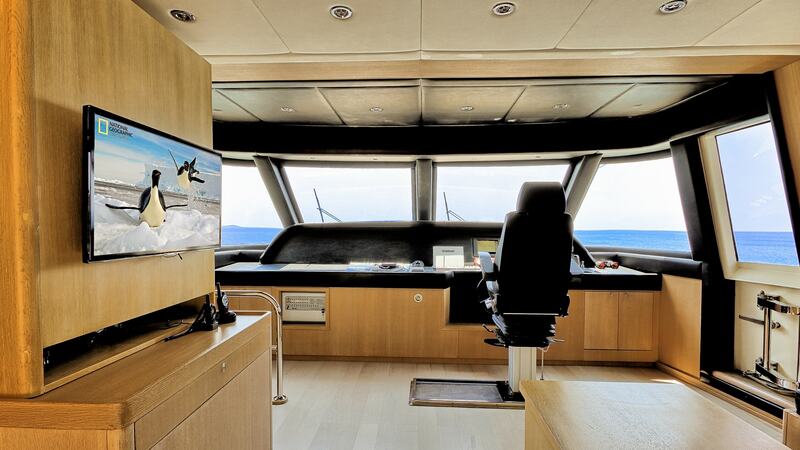 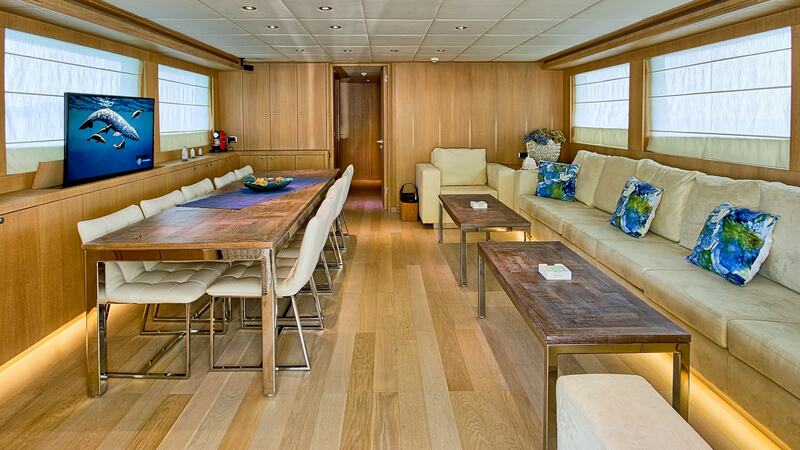 M/Y GRACE has an extremely spacious layout for a yacht of her size. 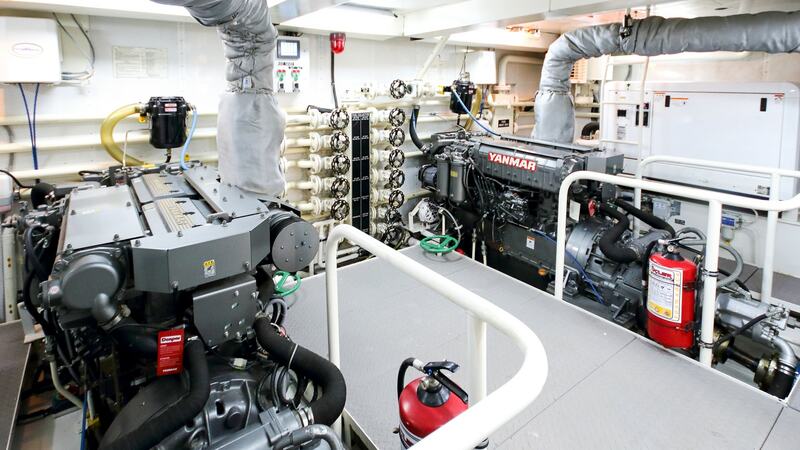 Her beam measures 7m (23ft), she is powered by twin Yanmar 910hp engines capable of reaching speeds of 16 – 18 knots. 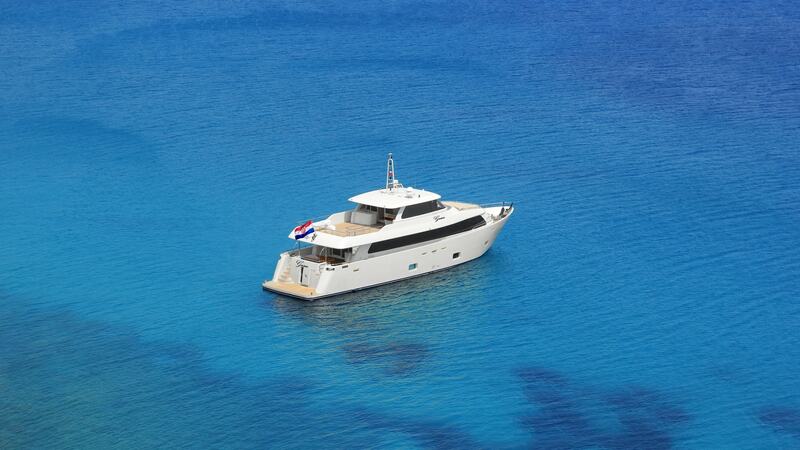 The yacht boasts reduced fuel consumption, adding to the many good accolades of this stylish charter yacht. 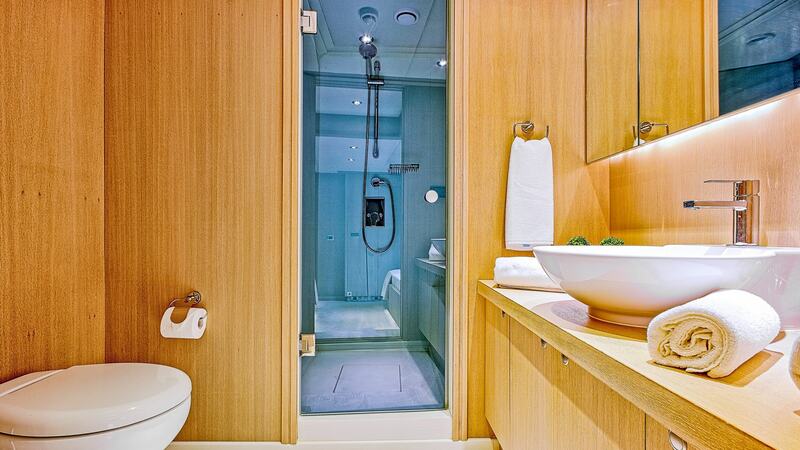 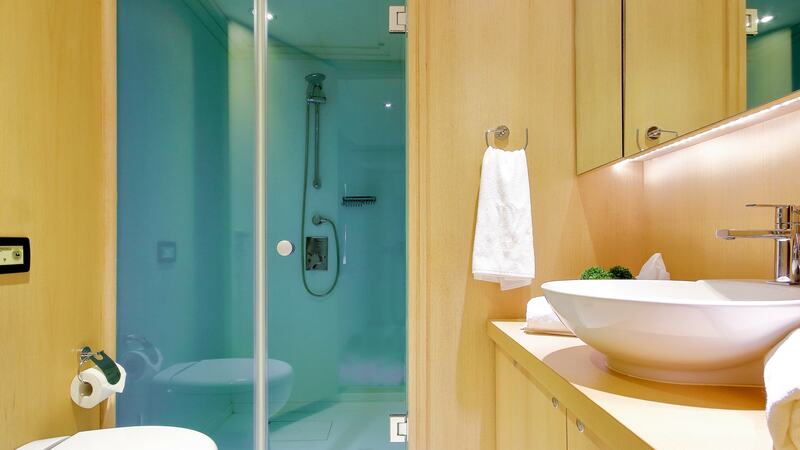 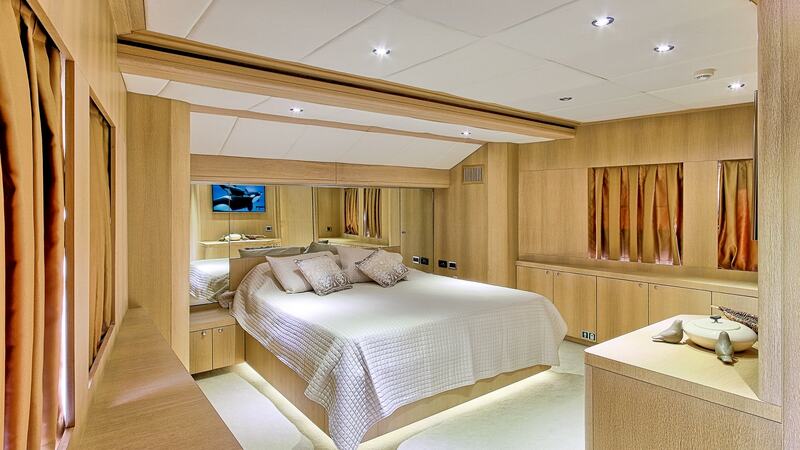 Deluxe accommodation for up to 10 charter guests is offered in 5 en-suite cabins aboard the motor yacht. 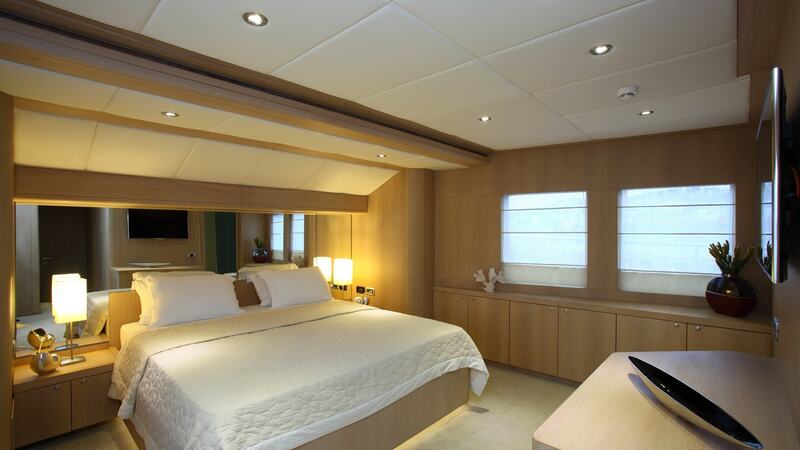 The master suite is forward and full beam of the yacht with a center lined queen size bed. 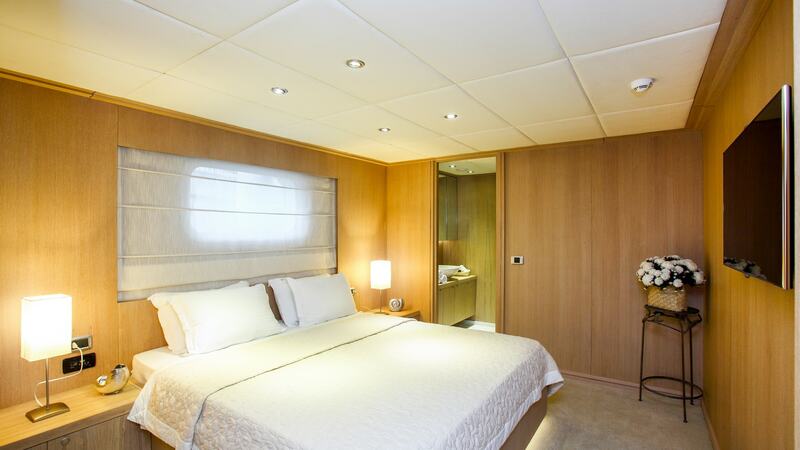 Below decks, 2 VIP cabins are on port and starboard amidships, with double beds. 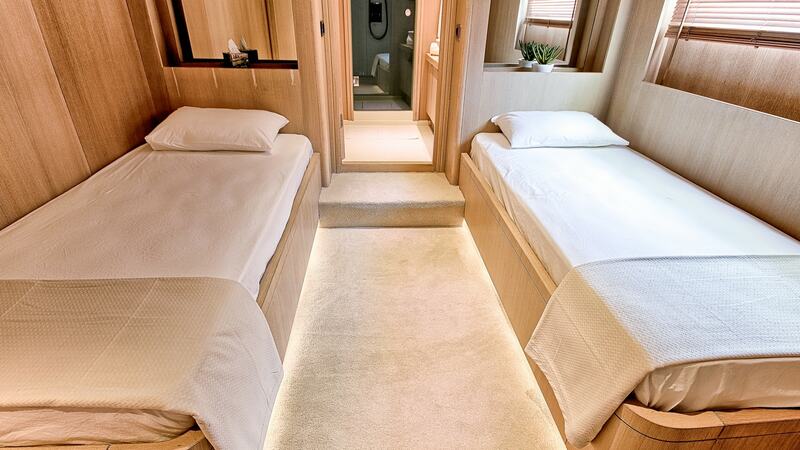 Forward of the VIP cabins are a further 2 guest cabins, each with side by side single beds.